Roxana's Revolution has received Editor's Choice Award, good reviews by Publishers Weekly, kirkus Reviews, the judge, Writer's Digest, and professional bloggers. For radio interviews and other news click on events. When the media frenzy over the hostage crisis of 1979 worsens and anti-Iranian sentiment surges all over the United States, Roxana, a Wall Street attorney, has no choice but to return to Iran. During a stop in Paris, she reunites with her two childhood friends and meets Steve Radcliff, an American reporter with a tenacious attraction to her. Back in Tehran, where circumstances are nothing less than volatile, Roxana learns that revolutions, while exciting and historic on the pages of a book are painful to endure. As one crisis after other spins out of control, the government imposes the wearing of a mandatory veil. This harsh revolutionary rule and Saddam Hussein’s invasion of Iran diminish Roxana’s hope to have a normal life. She rejects Steve’s marriage proposal and refuses to leave Iran with him. But a near- death experience and loss of her freedom in a border- sealed Iran propel her to enter a marriage doomed from its inception. Farin Powell practices law in Washington, D.C. 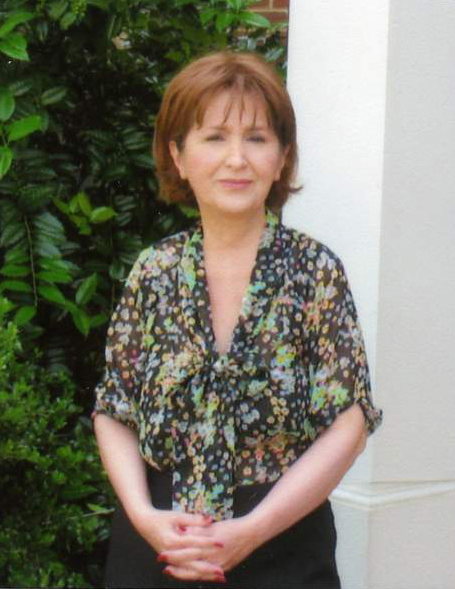 In addition to many legal publications, she has published short stories and poems in various literary magazines and poetry anthologies. She is the author of the book of poetry A piece of Heaven and the novel Two Weddings. 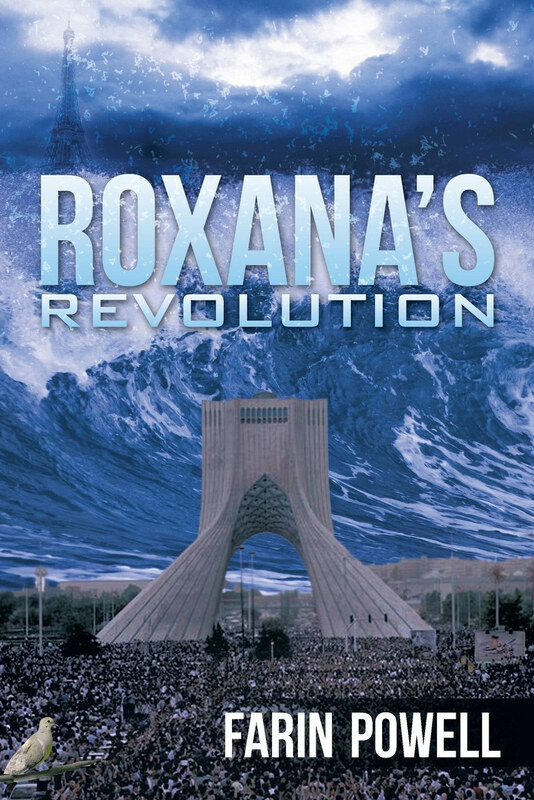 My dear friend Farrokh has written a review of Roxana's Revolution that deserves to be posted on this page. Among a massive number of people that read her new book, Roxana’s Revolution, I may be among a handful of the enthusiasts who has watched Farin walking through the journey of her life. Indeed, I was a student at Tehran University Law School when Farin was admitted among a small corps of women in what had been designed to be a gentleman’s camp. She and I had joined a student association for the United Nations amidst growing student hostility toward the West, and the UN as a perceived puppet for their sphere of influence. From the beginning, the courage that this Iranian teenage girl had taken to foster her humanistic ideology in the University and beyond, impressed me so much that I became naturally interested in her ideals and morals. Soon I found an ocean of emotion in her mind, a depth of zeal in her thoughts, and a passion for truth in her heart. The bells were tolling. Farin had a natural talent for learning laws. In the law school we called it “the legal mind” or the “mindset” if you go for a proper word. But this mindset was woven with a fabric of love for mankind, a curiosity about their lives and sufferings, and a profound desire to save the humanity from its virtual debunk. There was also another gift of nature; Farin was blessed with fine poetry. She delivered beautiful poems, wrote breathtaking prose, chanted rhythmic songs, and created masterpieces of arts. She was wonderful. Both Farin and I came to the United States for our doctoral studies; she chose the east coast and I went for the west. We stayed apart for more than thirty years. To this date we are still apart. But I always had my ‘virtual nose’ on her personal and career life, and watched the fruits of her minds falling on the ground and rejuvenating the soil, by her refined soul. What a fascination. Farin’s book is in part a reflection of her own adventure. For its happiness and sadness, it is a crying out from a woman who sees injustice around her, imposed by the man but never by nature. These tokens of injustice have crippled our female population in their jolts for breaking the yoke and freeing the soul. In this context Farin’s new book is more than a tale; it is singing with the birds, dancing with the waves, and coping with the nerds. Read it. Kirkus Reviews has selected and included both my novels Roxana's Revolution and Two Weddings in their magazine which is usually reviewed by film executives. magazines that are ususally reviewed by film executives. I was interviewed by Harambee Radio on November 14,2011. I'm grateful to my interviewer, Ms. Morgan who dedicated one hour of her show discussing my book, Two Weddings. Please click here to listen to the interview. Thanks to Hashima Morgan for repeating my hour- long interview the other night. I enjoy reading new reviews of my novel , and different readers' point of view every day. I need to thank all those readers who have spent time writing wonderful reviews about "Two Weddings" on amazon.com.